It's no secret: Australians and New Zealanders love lamb. They eat it by the rack, in stew, and biryani (an Indian meat and rice dish). But perhaps one of their favorite ways to prepare this tender meat is to roast it. This recipe is so easy and once you taste its marvelous flavor, you'll likely want to put this into your regular meal rotation. 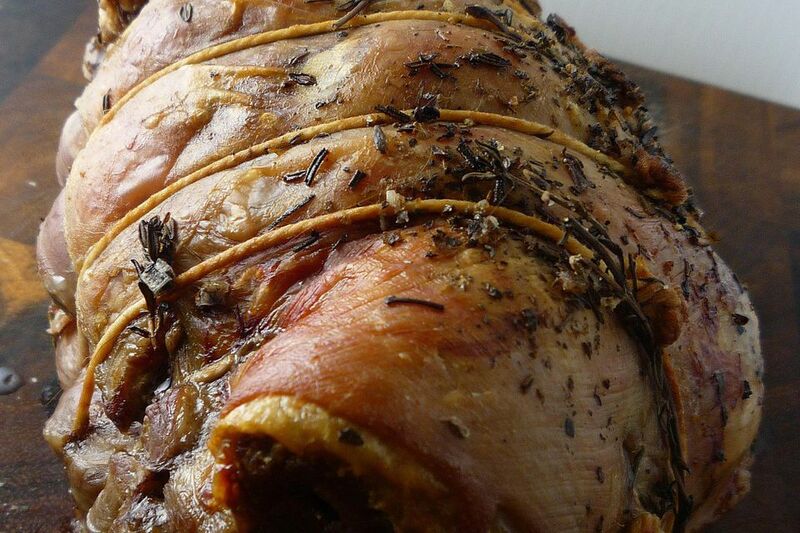 The two most common lamb roast cuts are the leg and the shoulder. A shoulder is used here and this cut has more fat than the leg, and therefore requires slower cooking. If you have chosen to use a leg instead of shoulder, simply cook it for 20, 25 or 30 minutes per pound depending on whether you want rare, medium or well-done meat. Heat the oven to 290 F.
Cut the potatoes and sweet potatoes into 1-inch-thick slices. Cut the onions in half and then place vegetables into a baking tray. Drizzle the vegetables with olive oil and sprinkle with some salt. Place the tray in the oven on the bottom rack and roast. Rub the lamb with olive oil and then sprinkle with sea salt. Use the point of a sharp knife to make small incisions all over the lamb. Place the garlic slivers and rosemary springs in the holes. Place the lamb on the middle oven rack with the vegetable baking tray beneath it to catch drippings. Roast for 90 minutes. Test meat to see if it's done by slicing it in the thickest part. Remove from oven and transfer to a plate to rest. Cover lamb with foil and let it sit for 10 minutes. Serve with roasted potatoes, onions, and mint sauce. New Zealand is touted to have the best lamb in the world and, as such, is a major exporter of lamb products around the world. In addition to fabulous flavor, lamb is rich in nutrients, like B vitamins, zinc, and iron, all of which are necessary for a balanced diet. And the real plus? It's also lower in calories, fat, and cholesterol when compared to beef.